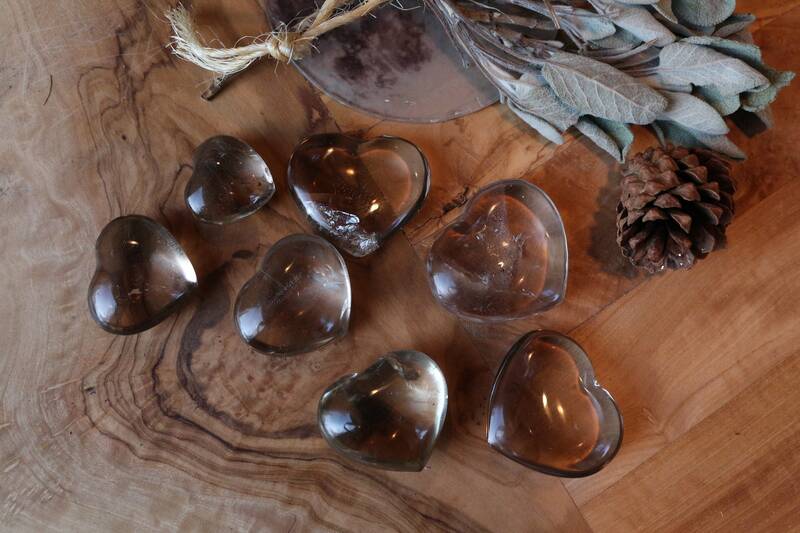 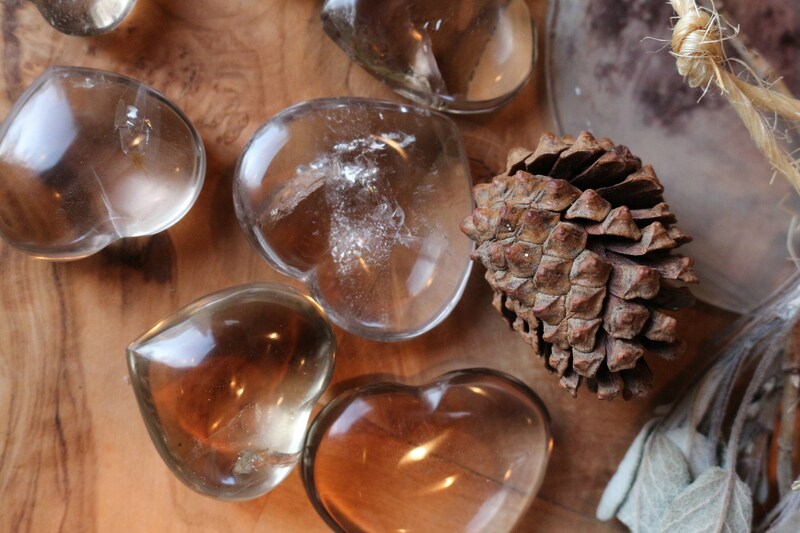 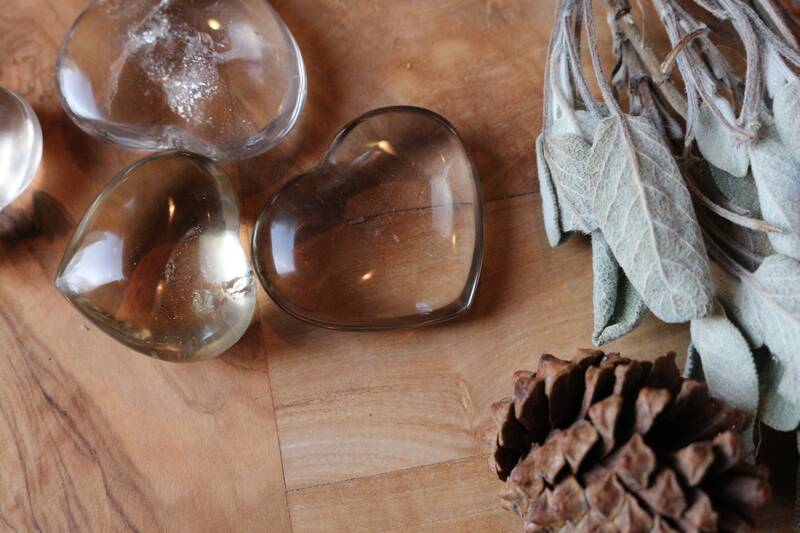 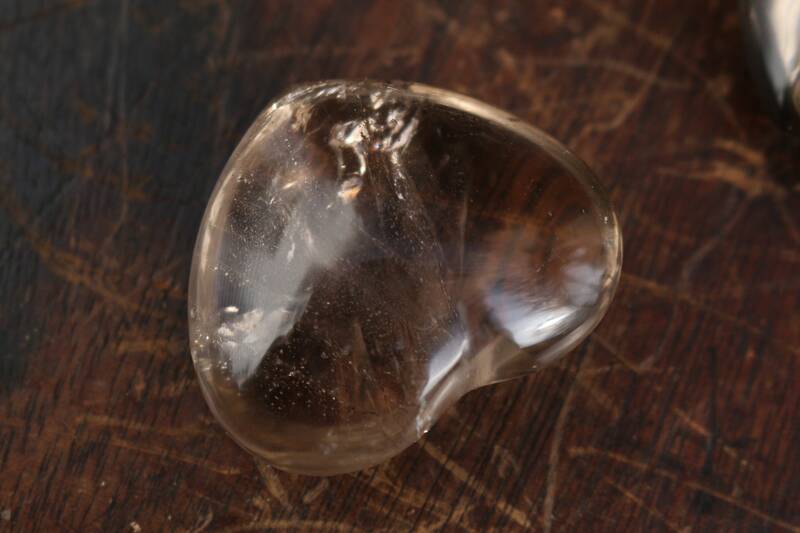 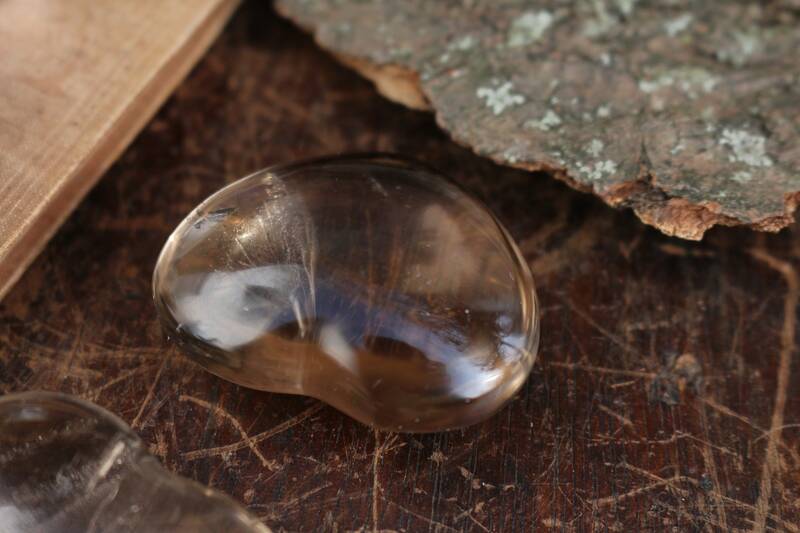 Small to Medium/Large sized hand-carved and hand-polished Smoky Quartz Heart Shaped Stones. 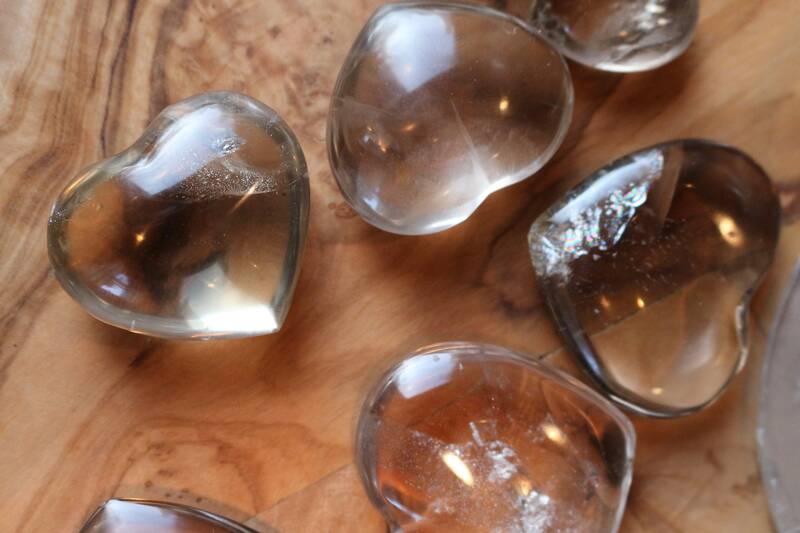 Each heart is quite clear with tiny happy rainbows throughout and range in size and color from very light grey to very dark grey and is all so beautiful (see below for dimensions). 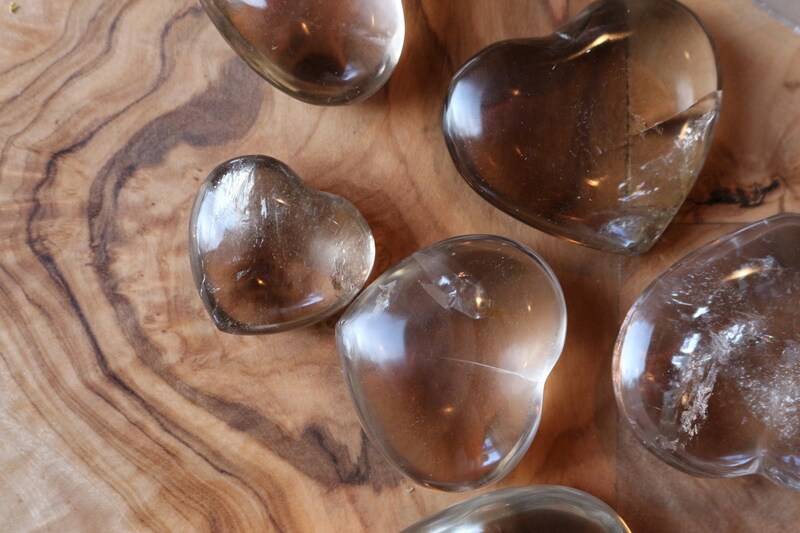 Please use the drop-down menu to select the heart of your choice. 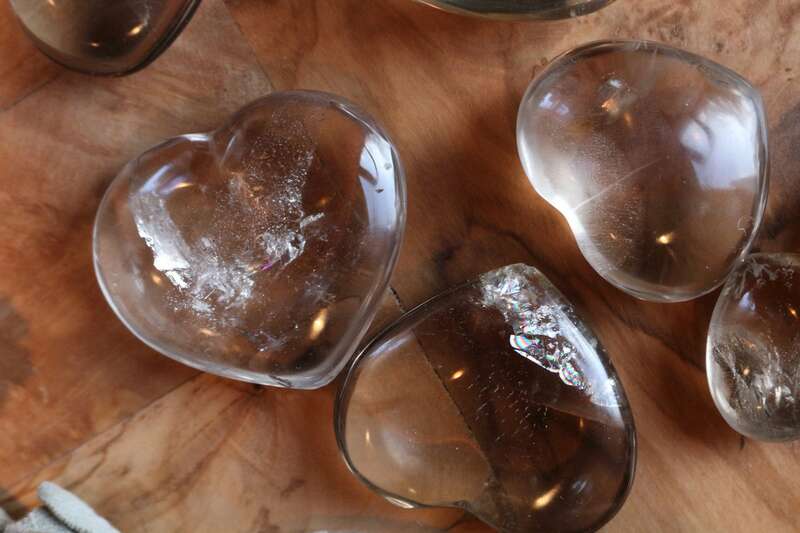 Also, some of the hearts are "flatter" and some are "puffier" which you'll also notice in the drop-down menu. 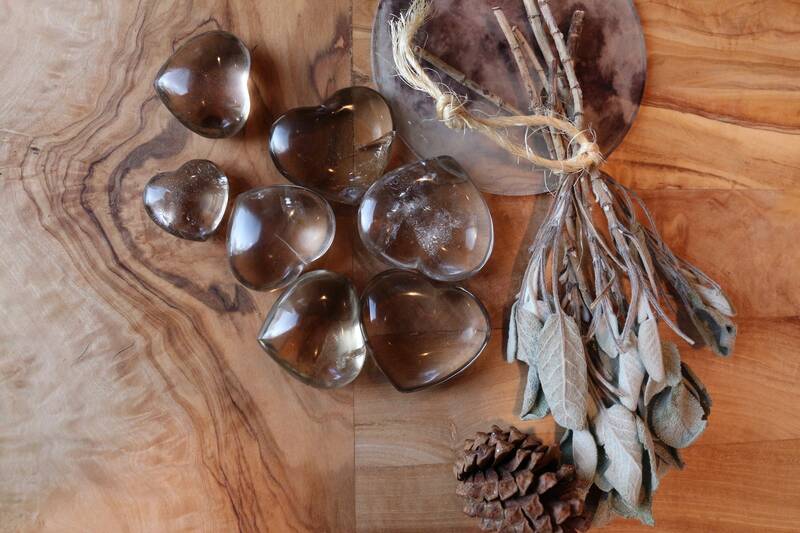 Buy one for you and one for that special someone! 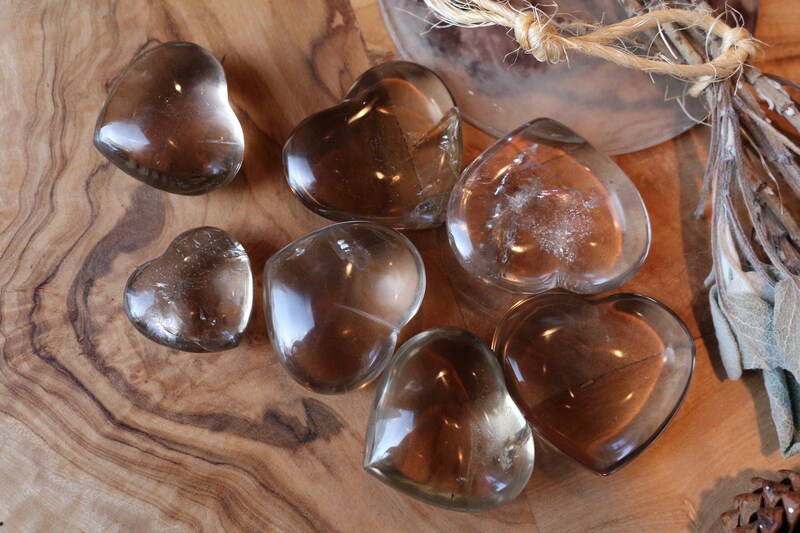 FREE SHIPPING to United States and to our International Customers, although we can't waive shipping costs, we will include a surprise crystal!